#amethyst is a crystal that for centuries and beyond, has been thought to connect with the #divine . 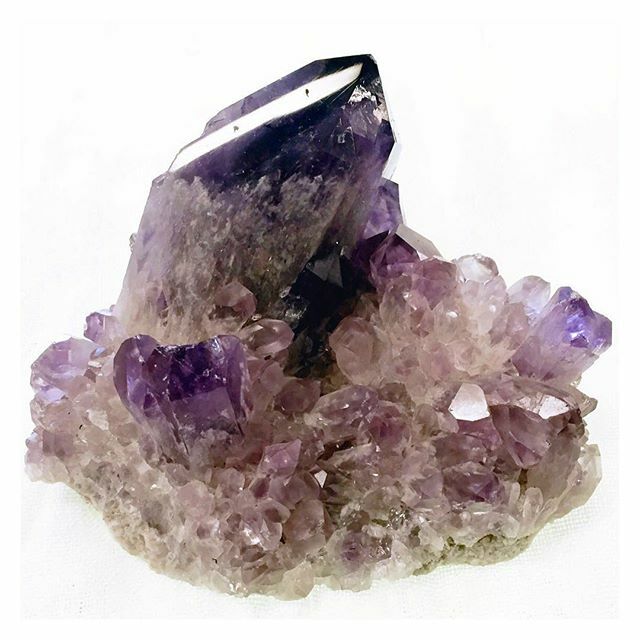 Amethyst enjoys working with the #thirdeyechakra , #crownchakra and #starchakra , connecting us to greater #wisdom , #love and #understanding . We are #celebrating the Suns approaching transition into #aquarius with 40% off amethyst #crystals today and tomorrow! All other crystals are 20% off! Kindly note, no holds on crystals during #crystalsale . Jewelry, pendulums, water bottles and other crystal related items are not included in sale.